R Series high tonnage (55-565 ton), low cycle, load-return cylinders are heavy duty and ultra reliable; the new RC Series have an even greater capacity (up to 1220 ton). 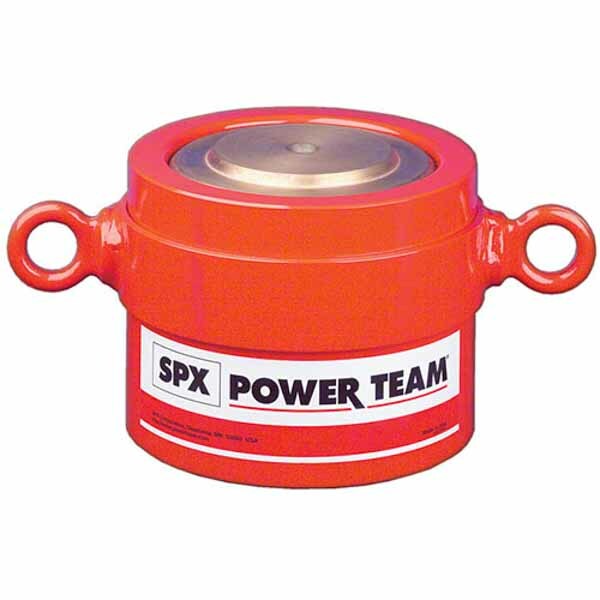 There is an overflow port (“weep hole”) ensuring that the piston cannot be over-extended under load. 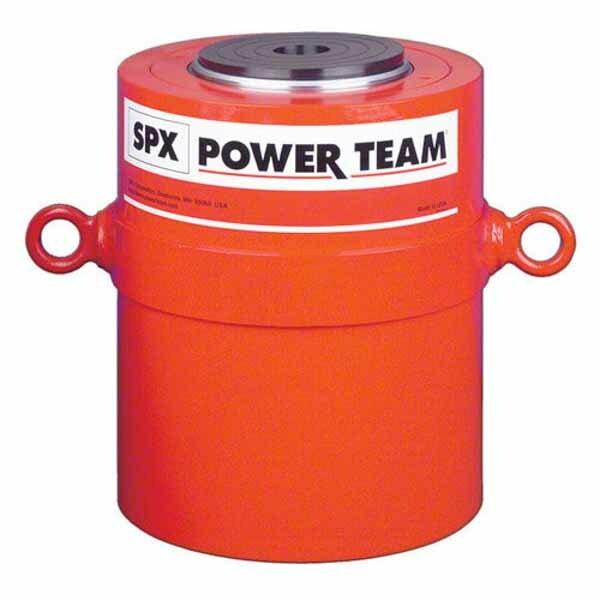 High tonnage, low cycle, gravity return cylinders from SPX Power Team. Covered by a Marathon Lifetime Warranty! Double acting high capacity hydraulic cylinders designed by Power Team USA. Built to last. 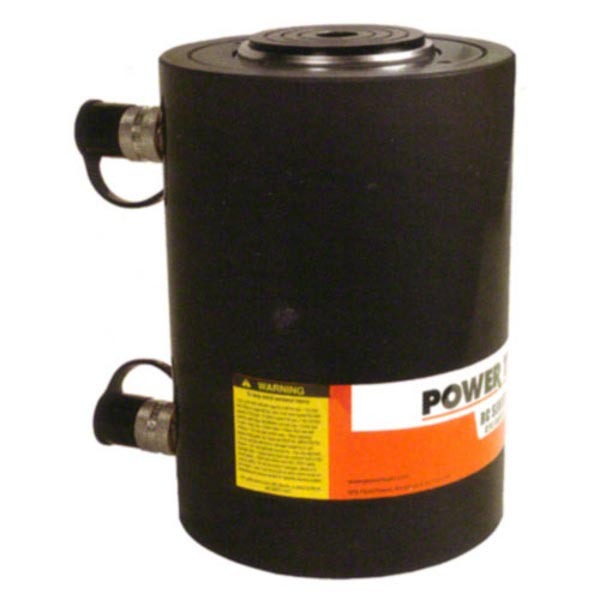 Available with a capacity of 740 - 1220 ton, the RC series cylinders are the highest capacity cylinders in the range. For dealing with the biggest tasks, only the most powerful hydraulic cylinders will do. Here at SGS we have a huge range of high tonnage cylinders for sale, from 100 to gigantic 1220 ton options. For use on everything from personal projects to large scale commercial and industrial purposes, there’s nowhere better to go for a high tonnage hydraulic cylinder. We are proud to be Europe’s largest supplier of Power Team hydraulic cylinders, including numerous heavy duty models. Each one comes with the lifetime Marathon Warranty and has been manufactured to the highest level. Whatever you need one for, you can rest assured it will perform at the best capacity for a long time. High tonnage hydraulic cylinders aren’t the cheapest of tools but at SGS we offer the most affordable option. If you only need a high tonnage cylinder for a one-off event or project then it’s possible to hire rather than buy such equipment through our online store. Next day delivery is possible on all orders placed before 4pm which total more than £100, so if you do buy you will receive it in good time. For any questions or help when browsing the high tonnage cylinders for sale, contact our technical team who are more than happy to lend a hand.